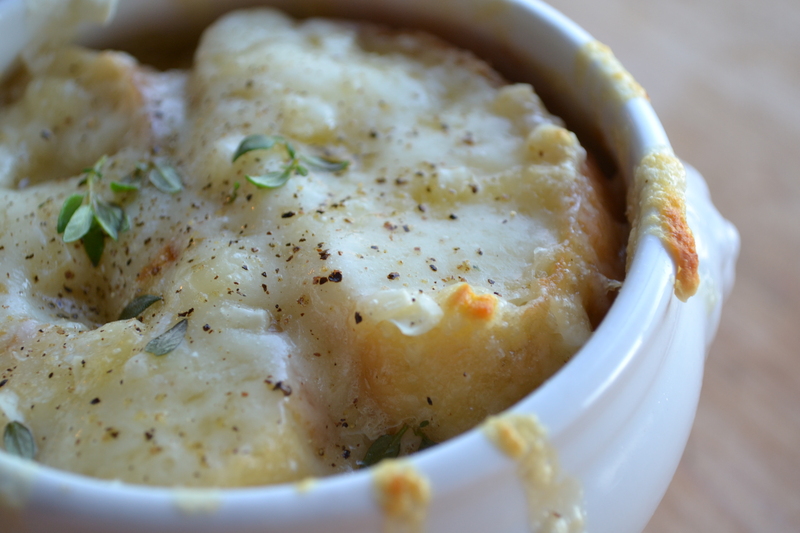 I have read and heard French onion soup referred to recently as a “French bistro classic”, which I presume it is. Having never been to France, I will have to take that description at face value, however, I can easily imagine tucking into a bowl of this steaming hot soup at a small hole-in-the-wall restaurant with crisp white linen napkins somewhere in the shadow of the Eiffel Tower. But, I’m a romantic, so such imaginings are easy for me. If you are less of a dreamer, or possibly adverse to onions or the texture of soggy bread, you may not think this soup is for you, but I would urge you to try it. Not only is it a classic, it is so much more complex and interesting than you would expect. By the time the cheese has melted and the bread has absorbed some of the broth and it is placed in front of you, the onions will have sweetened and softened into the butter, the thyme and sherry will have co-mingled and contributed a gentle citrus flavour as well as a sweet low note that strikes a deep chord that hums “savoury”, “special” and “home”. This recipe, as I have made it here, feeds 8 hungry people as “dinner” and could easily be enough for 12 as a starter. 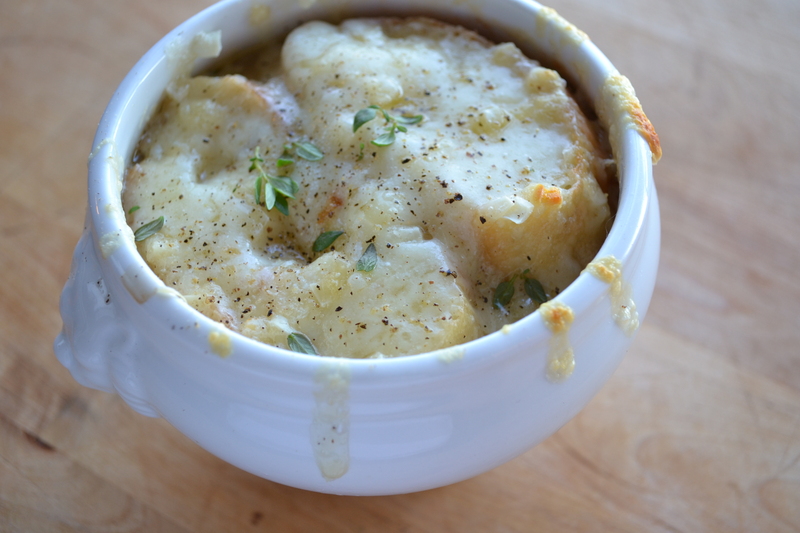 This recipe calls for individual French Onion Soup tureens so that the traditional bread and cheese can be broiled atop the soup. If you don’t have the specific tureens, use oven proof bowls, or simply serve it from the pot with the cheese sprinkled in and the bread on the side for dipping. Begin by peeling the onions. Slice them very thinly. Set aside. Dry your eyes. 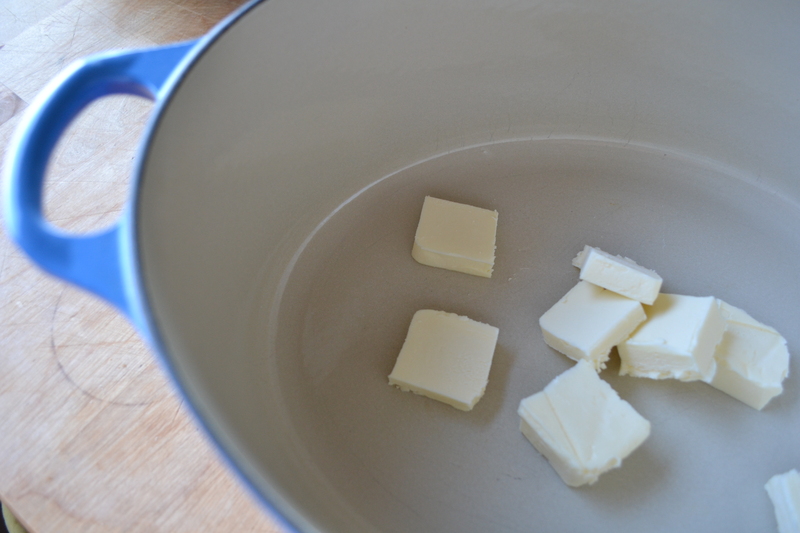 In a large heavy bottomed pot, over medium heat, melt the 8 tablespoons of butter. 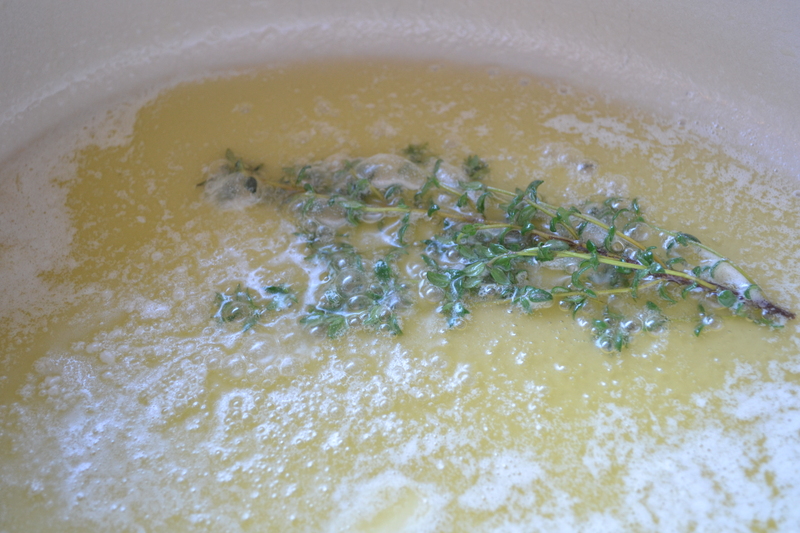 Once it is melted, add a full sprig of fresh thyme. Add in the onion. 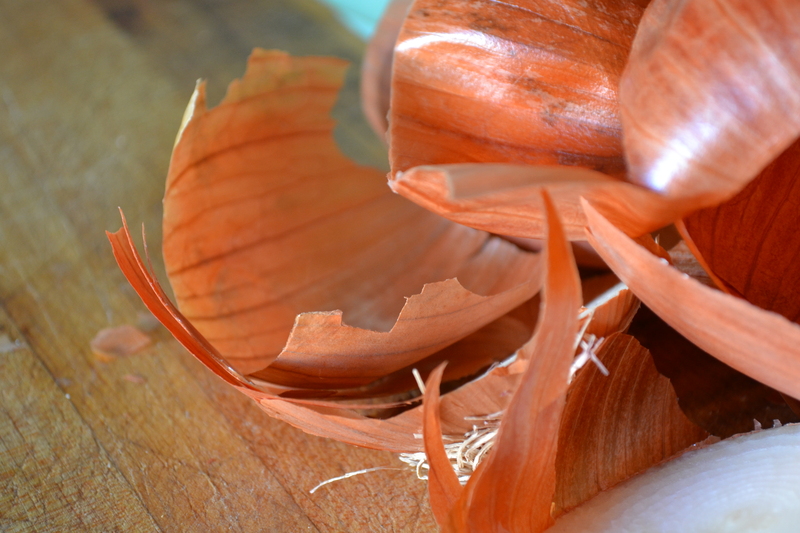 It will seem like an impossibly huge amount of onion, but will cook down beautifully. Cook the onions in the butter with the thyme, stirring frequently for about 35-40 minutes, until they have reduced to about 25% their original volume and have lightly caramelized. If you find that the onions are browning, reduce the heat and stir more often. 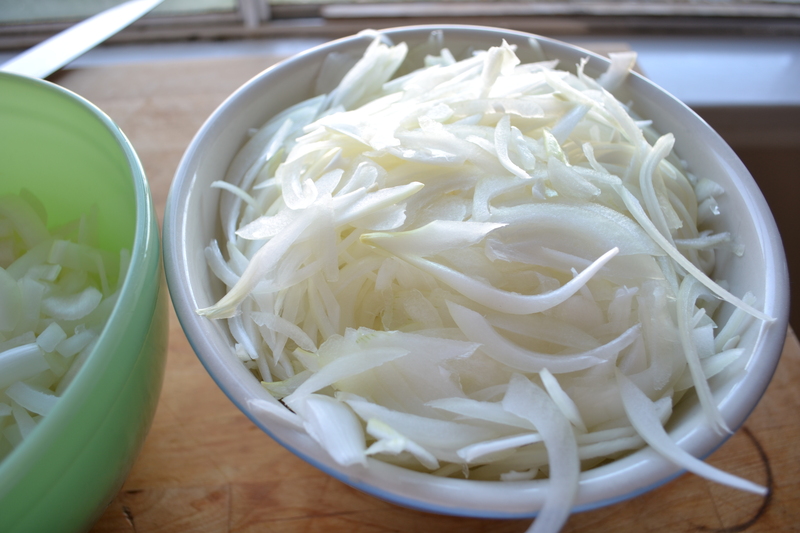 The onions should not become dark or dry. Aim for an all over golden colour and soft, sweet onion strings. Fish out the thyme stem, it will have lost all its leaves. 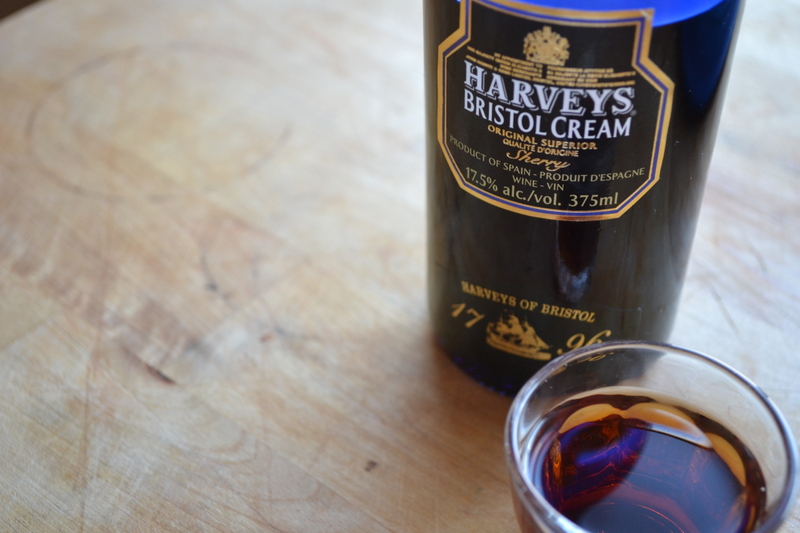 Once you have achieved the pale caramel colour and the onions are softened, add 2 shots of sherry and stir well to combine. Add in the beef stock and increase the heat to medium high until the soup boils, then reduce to a simmer and cook, uncovered for 30 minutes, allowing the soup to reduce and concentrate slightly. 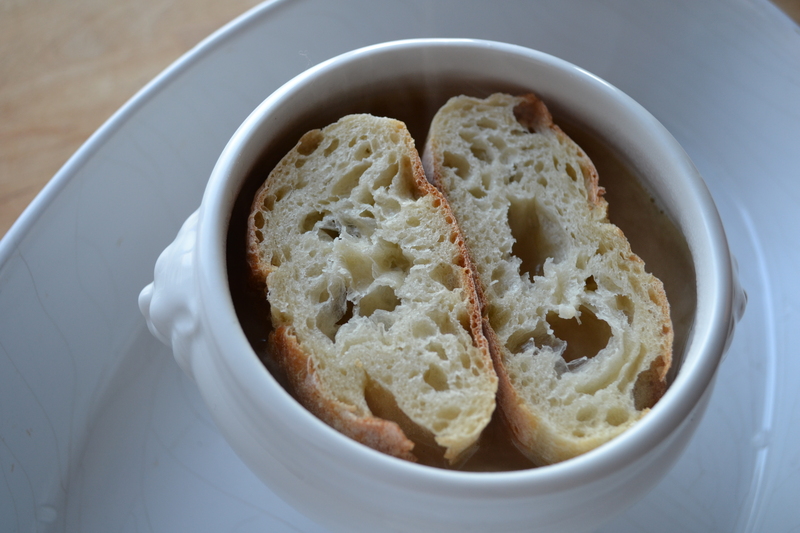 While the soup finishes, grate the Gruyere and slice the baguette; set aside. Preheat your soup tureens (if using) in a 200 degree oven for 10 minutes. When you take them out to fill them, switch the oven to broil mode. 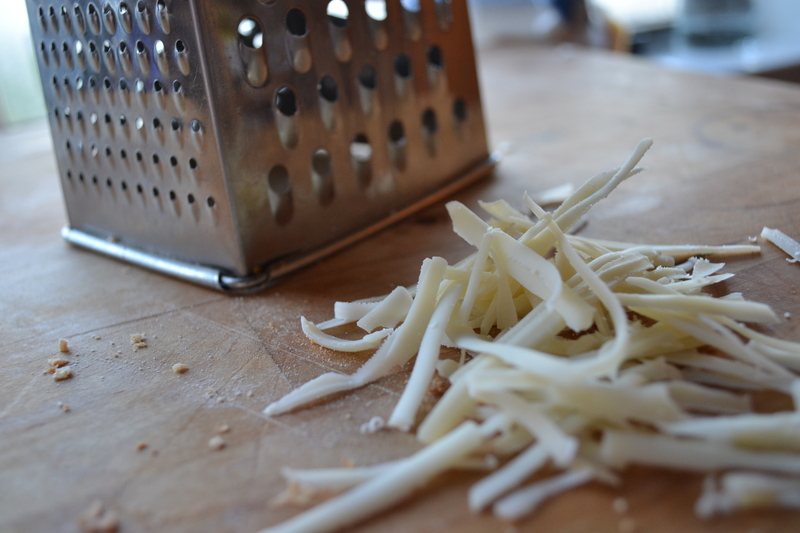 Sprinkle the bottom of each bowl with a pinch of the grated Gruyere cheese before you add the soup. 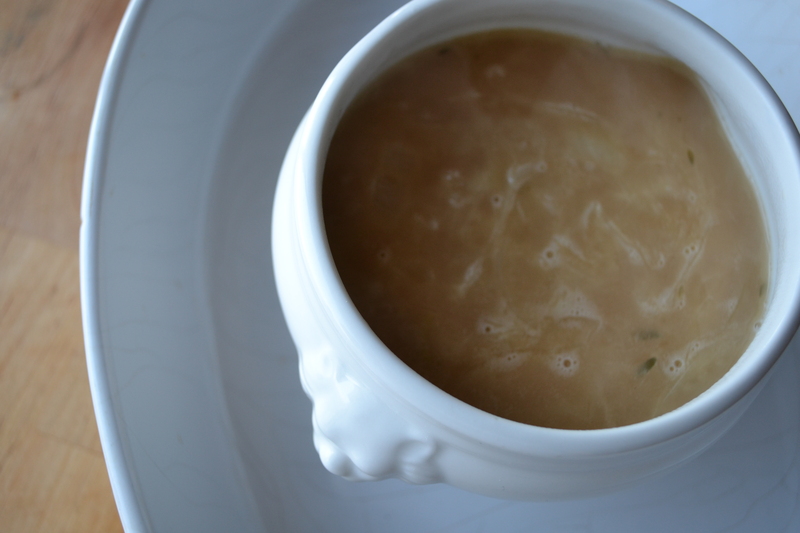 Fill each preheated tureen with 1-1/2 cups of soup, ensuring that all 8 get equal onion and broth. Set the baguette slices on the surface of the soup, cut side up. Depending on the size of your bowls and the circumference of your baguette you may need 1 or 2 slices. Whatever you don’t need in the bowl, you can dunk in the soup later. 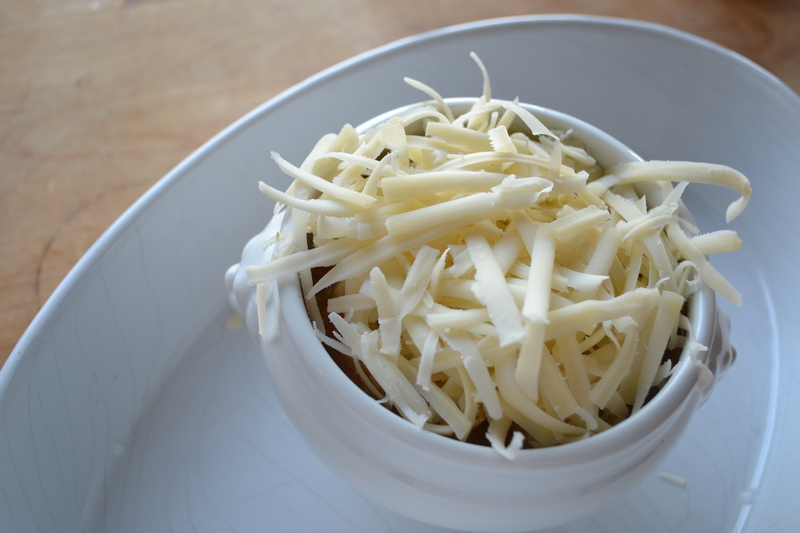 Top the bread with cheese, ensuring that each bowl has a generous portion. Place on a baking sheet or in a shallow, wide casserole to transport the bowls to the oven. Leave the soups under the broiler, watching them carefully, until the cheese is melted and beginning to brown. To serve, sprinkle with thyme leaves from the remaining sprig of time and garnish with fresh ground pepper.